Caleb Shelton from Precision Tennis Academy teaches our first USTA Tennis Apprentice program at Rockingham Commmunity College. This is a beginning tennis class for adults, emphasizing the fundamentals of tennis. Topics includ basic strokes, rules, etiquette, and court play. Upon completion, students should be able to play recreational tennis. Registration fee includes a USTA Membership and new tennis racket. Rockingham Community College's newly-resurfaced tennis courts have been selected by USTA NC as the 2016 Facility of the Year. 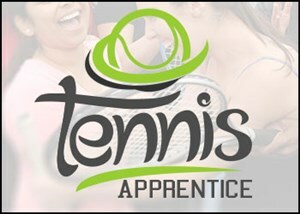 This is an adult tennis class to continue strengtheing the beginning tennis skills learned in USTA Tennis Apprentice I. Upon completion, students should be able to play recreational tennis. USTA Tennis Apprentice I is a prerequisite for this class. Register online for both classes using course code here.